Glover Oil Company offers onsite fueling, loan lease programs, fleet fueling and a variety of products. 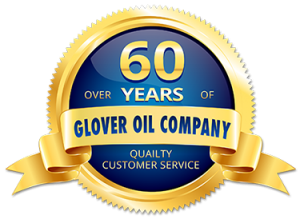 Glover Oil Company Inc. is East Central Florida’s largest distributor of petroleum products. As early as 2004 Glover Oil Company recognized the need for renewable fuel alternatives and was instrumental in introducing biodiesel to Florida as an innovative approach to improving the environment and reducing dependence on foreign oil. Glover Oil operates a bulk plant with over 230,000 gallons of petroleum storage and a fleet of 14 petroleum delivery trucks, delivering Fuels and lubricants to Brevard and surrounding counties Construction, Fleet, Industrial, Marine, and Municipal customers.